As Chair of the Assembly Aging and Long Term Care Committee, Assemblymember Ash Kalra (D-San Jose), is having an informational hearing on Long Term Care and Support Services in Los Angeles on Wednesday, November 15th from 10am to Noon at the Sheraton Gateway Hotel. 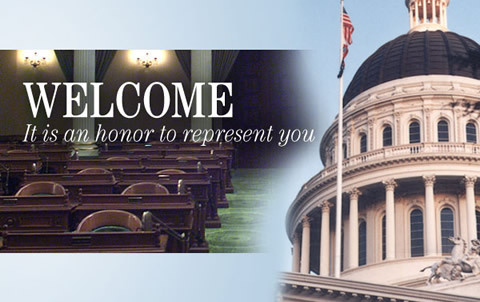 The Committee will gather information on the long term care resources available to Californians and listen as the public and experts provide stories on how long term care is working for caregivers and those being cared for. SACRAMENTO – Given the ever-present and increasing threat climate change poses to all Californians, and the role tropical deforestation plays in escalating that threat, Assemblymember Ash Kalra (D-San Jose), along with Assemblymember Richard Bloom (D-Santa Monica), Assemblymember Eduardo Garcia (D-Coachella), and Assemblymember Eloise Reyes (D-San Bernardino), and accompanied by co-sponsors Social Compassion in Legislation and Friends of the Earth, today announced the introduction of AB 572, the California Deforestation-Free Procurement Act. If passed, all California state contracts involving forest-risk commodities, such as palm oil, soy, cattle, rubber, paper/pulp, and timber, would require their suppliers to have a No Deforestation, No Peat, No Exploitation (NDPE) policy.